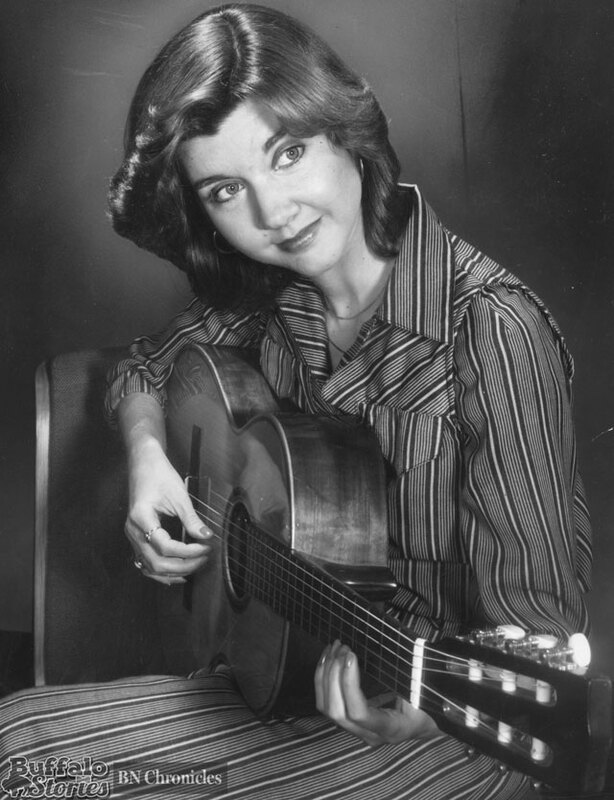 When 28-year-old Carol Crissey came to Buffalo at the tail end of the 1970s, her resume boasted a working knowledge of four languages (German, Spanish, French, plus Greek and Latin) and four instruments (cello, guitar, oboe and piano). Leaving Buffalo 25 years later, she was Buffalo’s pre-eminent and “most watchable” news anchor. Often described as “elegant” in the pages of The News by reporters and critics, readers also voted Carol as the “Sexiest Woman in Western New York” several years running in the late ’90s. Carol was there as the world and the world of TV news became increasingly less misogynistic. 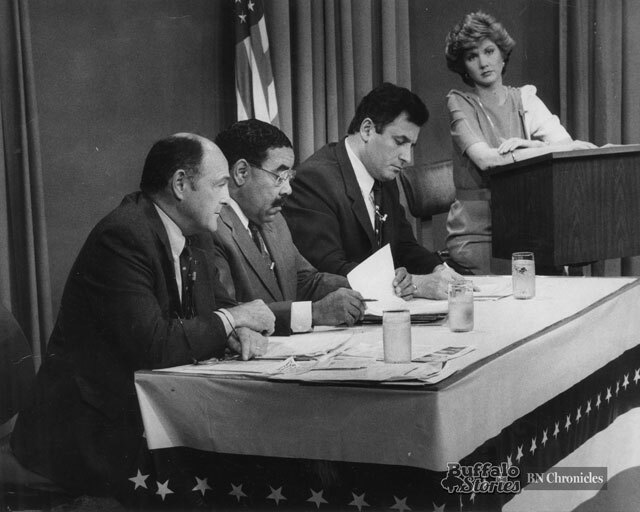 At stodgy, stuffy old Channel 4, where until recently the TV news anchors hadn’t changed much since the ’50s, Carol was the first woman to anchor the news regularly on weeknights. It was news — glimmer of hope for humanity variety — when she signed a contract that would allow her to anchor the news into her 40s. Another glass ceiling was broken when she signed a contract that would send her into our homes at 6 and 11 past her 50th birthday. Through the 23 years she worked at WIVB-TV, Carol Jasen (who is noe known as Carol Crissey-Nigrelli) anchored at various times the noon, 6 and 11 p.m. newscasts with a long list of co-anchors. 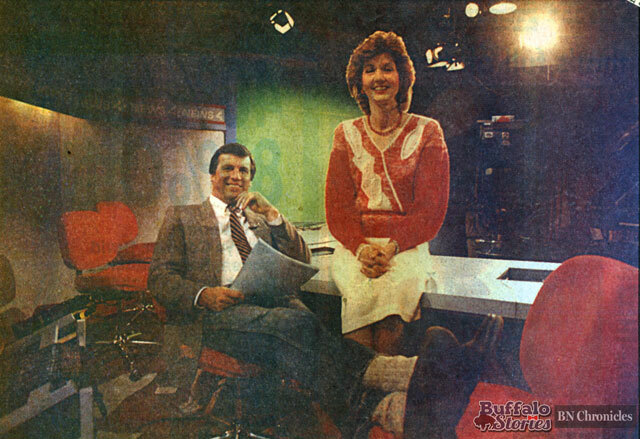 Her first assignment was co-anchoring with John Beard in 1980, then Bob Koop in 1981, Kevin O’Connell in 1990, Don Postles in 1993, and occasional stints with Rick Pfeiffer, Rich Newberg and Kathy Polanko, among others. Through most of those years, Carol and her co-anchor were No. 2 in the ratings, as the less theatrical alternative to Irv, Rick and Tom on Channel 7. After one late ’80s ratings jump closed the gap with Eyewitness News, News Critic Anthony Violanti prophesied, “Move over Uncle Irv. Here comes Aunt Carol.” After Irv Weinstein’s retirement in 1998, Carol and Channel 4 took over the No. 1 spot until she retired and beyond. 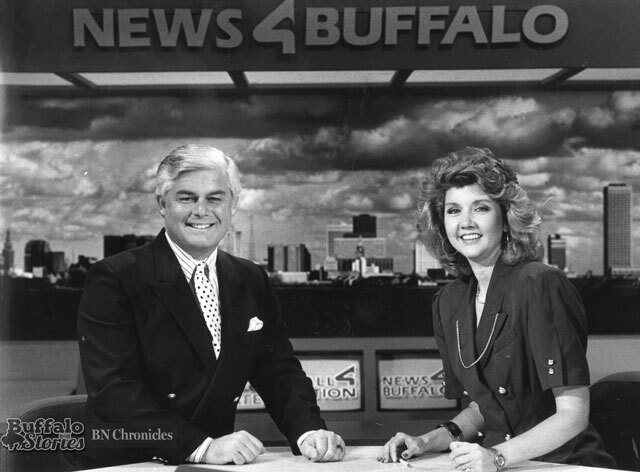 With Jasen becoming Buffalo’s most popular and longest-tenured news anchor with Weinstein gone, in Irv’s book– handing the hairspray-can-baton over to Carol seemed to be as good a choice as any. 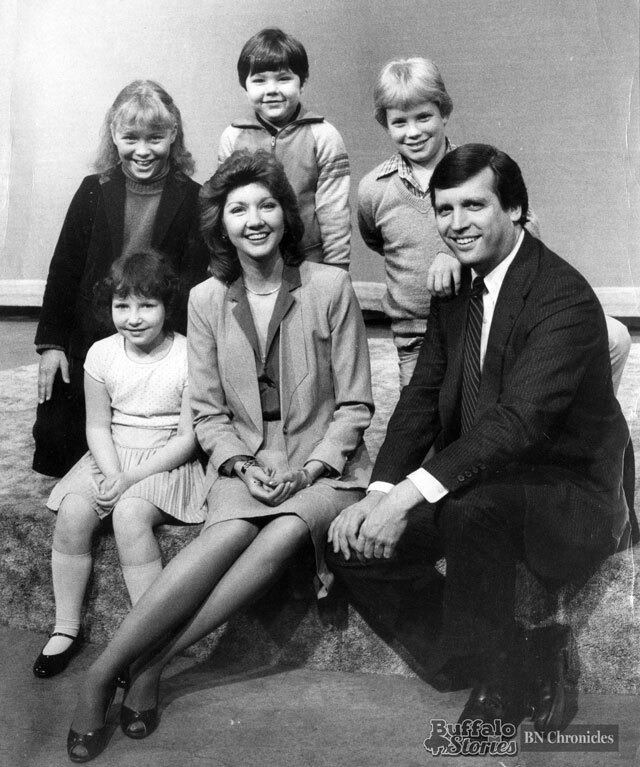 Carol retired from TV news in 2002 and married former Channel 4 reporter Craig Nigrelli, who is now a news anchor in Omaha. Looking at television news today, she’s glad she played her part when she did. 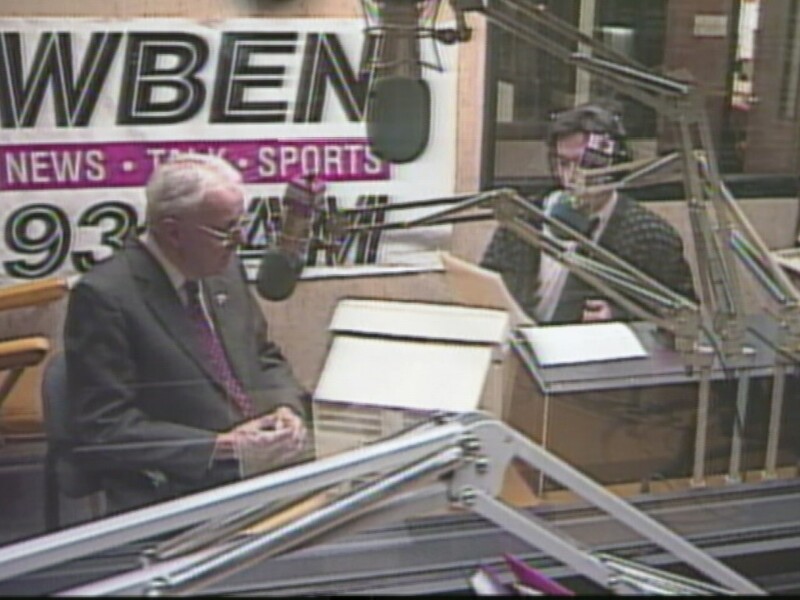 BUFFALO, NY — I’ve had the pleasure and honor of working with George Richert twice– both at WBEN, where he was a news man and I was a producer, and at Channel 4– where I was a producer and he was an assignment editor, then reporter. The world of news and TV news is suffering a giant hole in the wake of George’s leaving– not just because he’s an experienced voice of reason, not just because he is a tremendous story teller, not just because of the way he is able to cut through the noise of a situation to find and tell the best story– for all of which he’ll be missed. George is just about the greatest human being that any of us might have the chance to meet. 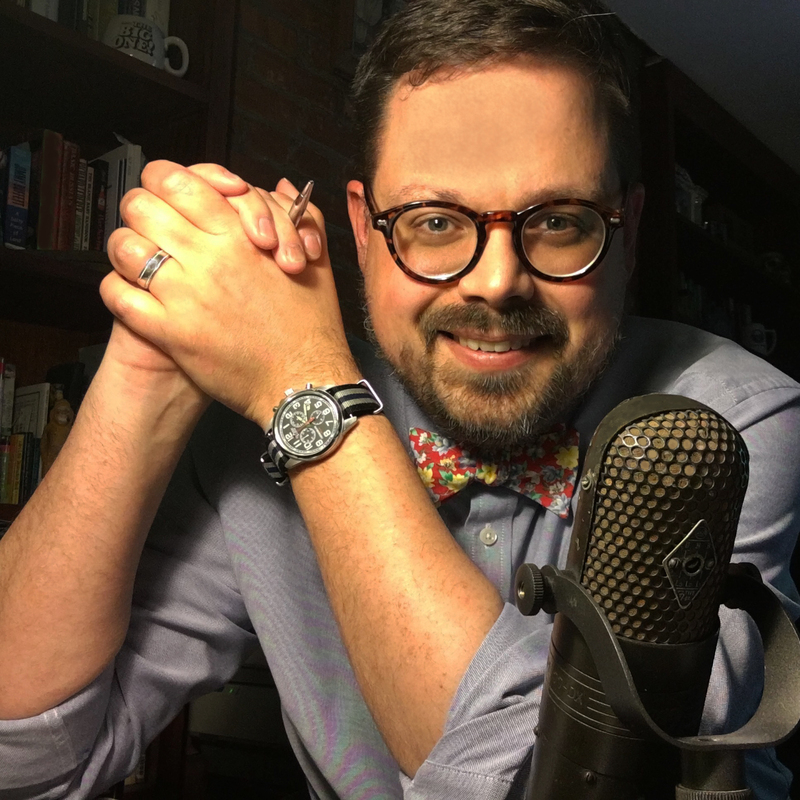 His style as a reporter and guy is simple, bare bones, and really perfect. He’s compassionate without being sappy. He’s direct without being overbearing. He’s kind so quietly it often goes unnoticed. George quietly and faithfully understands and appreciates all that goes on around him, holds onto the best in it, and tries to let the bad slip away. He very steadfastly, without drama or affect, does what is put before him. He works in the same way people of our grandfathers’ generation grabbed their lunch pail, went to work, let the work be their reward, and showed those around them that actions mean more than words. One of the ways you can judge a TV reporter is by looking at a photog’s face when he or she finds out they are assigned to work together that night. Often the look is like someone waved dirty socks under the photojournalist’s nose. Sometimes it’s not the look as much as the straightened back– steeling themselves for spending the day with an arrogant jerk or weirdo… or even worse– an arrogant jerk weirdo. When you’re assigned to work with George, your day brightens and a smile crosses your face. As he walked off the set on one his final nights at Channel 4, the note George wrote to the photojournalists who’ve toiled along side him for the past two decades shows the kind of man he is. It was shared on Facebook by Channel 4 videographer Paul Ivancic. I don’t even remember who it was who first invited me to have dinner in the Photographers’ Lounge, but I want to thank you all for tolerating it. I’ve tried to earn the right to be there because I think it represents a sort of brotherhood with our big sister. It’s hardly a ‘Lounge’ at all…More like a simple table for the purpose of eating fast and getting back to work. After all, that seems to be the life of a photographer. You run from story to story, often times finding creative ways to make something out of absolutely nothing. Yet, when the script finally comes in, your hard work still doesn’t usually live up to the high expectations of what’s written. Reporters like me run around looking stressed out, when you have the ultimate deadline resting on your shoulders; the final minutes and seconds before a story or a show airs. You’re usually the first to realize that a VO wasn’t shot at all, or that certain file simply doesn’t exist, and yet you’re expected to somehow “make it live”. Reporters like me get to sit in the car while you stay out and shoot the b-roll we need or set up the LIVE shot. You battle the elements and clock to make a dark LIVE shot look halfway decent, but often times the only feedback you get is to “iris down!”. For you, I love the days when your creative talents shine through and you get a lot of compliments. But I realize most days you must feel like masterpiece painter who’s only given two colors, and ten minutes to work with. I want you know that you’re the UNSUNG HEROES and the backbone of this industry, and I will never forget you. My favorite part of this job has been driving around with each of you and sharing the highs and lows of our lives each day. Those are the lifelong bonds that I will miss the most. From the bottom of my heart… Thank You. Good luck George… I hope the Bishop knows how lucky he is to have you.